To utilize satellite and other remotely sensed data to explore and understand the linkages between water in all its forms, the land and life on Earth. GSFC’s Hydrospheric, Biospheric, and Geophysics research supports NASA and the nation with a world class workforce that conceives, develops and applies space-based technologies and observations to address issues of importance to society, including water resources, ecosystem health, and the effects of climate change on life on Earth. Particular research areas include studies of the Earth’s Cryosphere, Ocean and Land Ecosystems, Land Surface Hydrology, and Geodesy and Geophysics. Darrel L. Williams has won the 2017 William T. Pecora Award. The Pecora Award is presented annually to recognize outstanding contributions by individuals or teams using remote sensing to understand the Earth, educate the next generation of scientists, inform decision makers or support natural or human-induced disaster response. 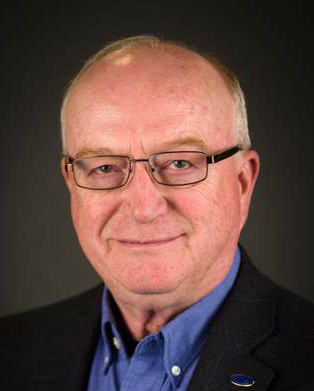 The citation for Darrel Williams reads: For outstanding contributions toward understanding terrestrial ecosystems by means of Landsat remote sensing. Dr. Williams’ career has been dedicated to development and advancement of digital remote sensing and the Landsat program in particular, as envisioned by William Pecora and Secretary Udall a half-century ago. In stature and achievements, he lives in the true spirit of the USGS/NASA Pecora award and deserves the recognition that this award is intended to honor.